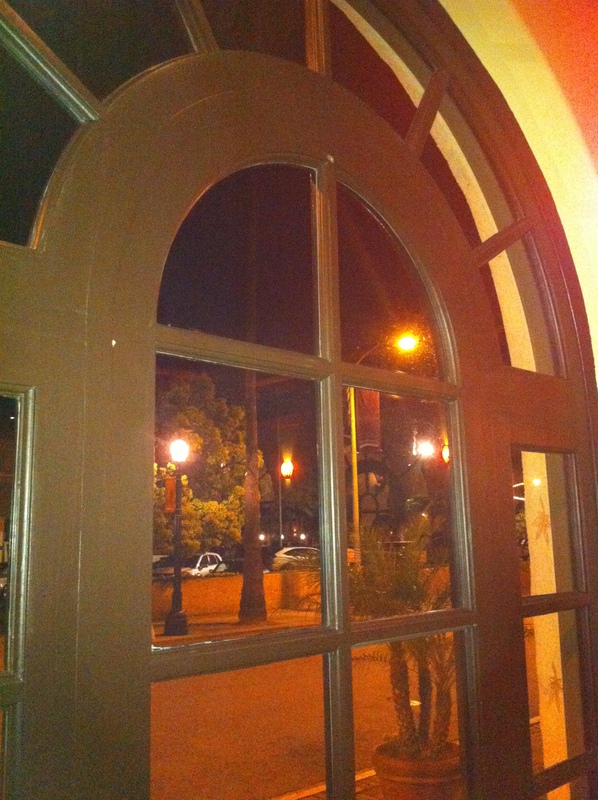 I was in a grumpy mood last time I reviewed Elements Kitchen in Pasadena. Two obnoxiously drunk guests ruined the ambience. The food was good, however I felt it was too pricey for the portions served. Lastly, I was disappointed with my dessert. The crème fraiche was very sour instead of slightly sweet. My first experience to Elements left a bad taste in my mouth. Months later after seeing the delightful comedy, Win Win, at the Laemmle Theatre, we walked over to Elements for a glass of wine and light dinner. Instead of sitting in the main dining room/kitchen, we opted for the lounge. It’s darker, cozier and a soft sofa-like area next to an arched window was available. We started with two glasses of wine. My 2009 Phendler, Rose appealed to me with its floral notes and hints of red berry, orange tea and watermelon flavors. Rick’s 2009 Grao Vasco from Portugal offered the essence of vanilla and pear. Our server placed a bowl of thinly sliced and slightly salty potato chips next to our glasses. Guests may order from the main menu in the lounge area. 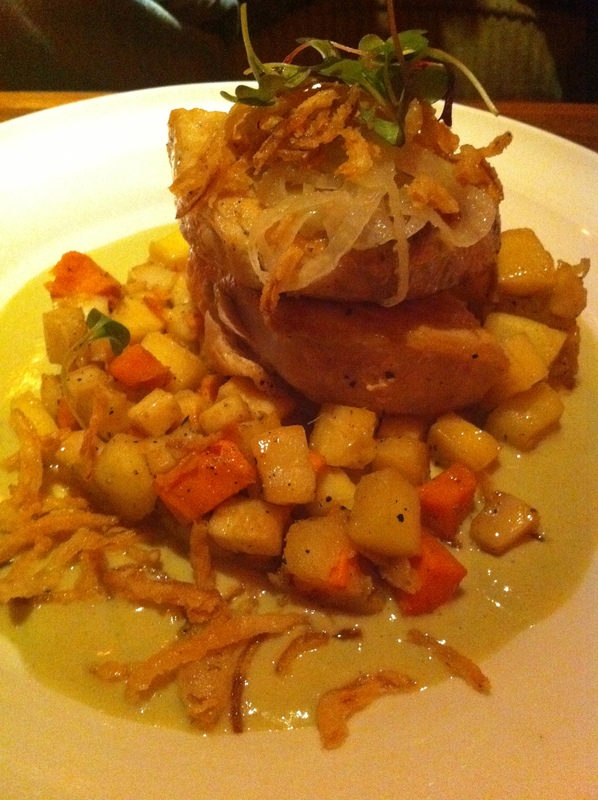 We decided to try the grilled swordfish steak on a bed of winter vegetables, apple hash, fennel escabeche (vinegar marinade) and crispy shallots bathed in a green coconut curry beurre blanc. It was superb. For $36, it better taste good. 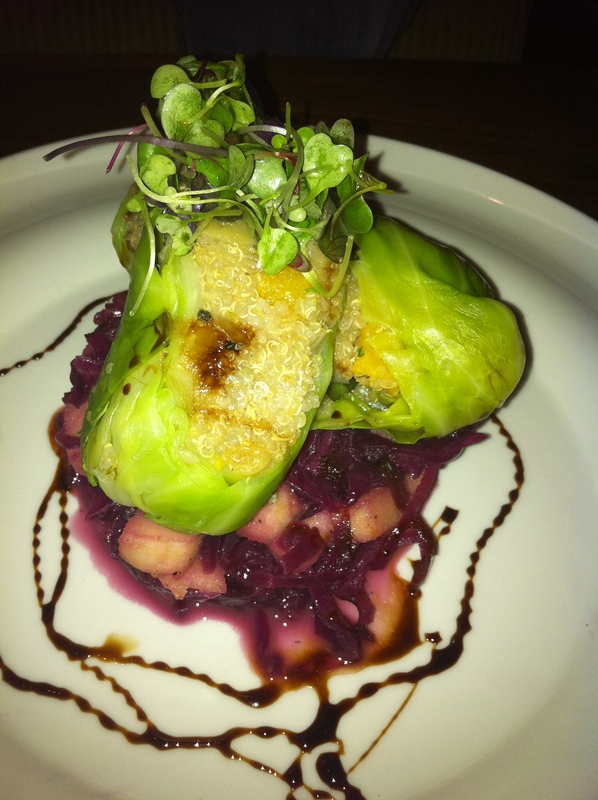 Another entrée that peaked our interest was the quinoa stuffed cabbage with cubes of roasted butternut squash, sweet golden raisins, chestnuts, dark magenta braised red cabbage and granny smith apples. Quinoa is getting quite a buzz right now for its nutritious value. I found this dish truly divine and worth $20 for its ambrosal flavors. Before we left, the Pasadena Playhouse was letting out and patrons in black tie attire visited the lounge for a late night drink. On Friday and Saturday evenings from 10 p.m. to midnight, Elements lounge offers a Late Night Happy Hour with their Blue Collar burger at $5. It’s normally $11. The garlic truffle fries are only $2 and selected cocktails are $7. With our two glasses of wine and two entrees, our bill totaled almost $81. Was it worth it? Yes, this time we really enjoyed the presentation, flavors and textures of the dishes we ordered. Everyone deserves a second chance and I’m glad we decided to visit Elements again.